Lounge on a sofa tailored with a sustainable apples-made textile, lay yourself down like dandy on a pointe-shoe bench or flip the sofa-bed open like a clam for your guests… 8 innovative furniture and exhibitions rethinking seat design. Asseyez vous! Assaeyez vous… In Paris! 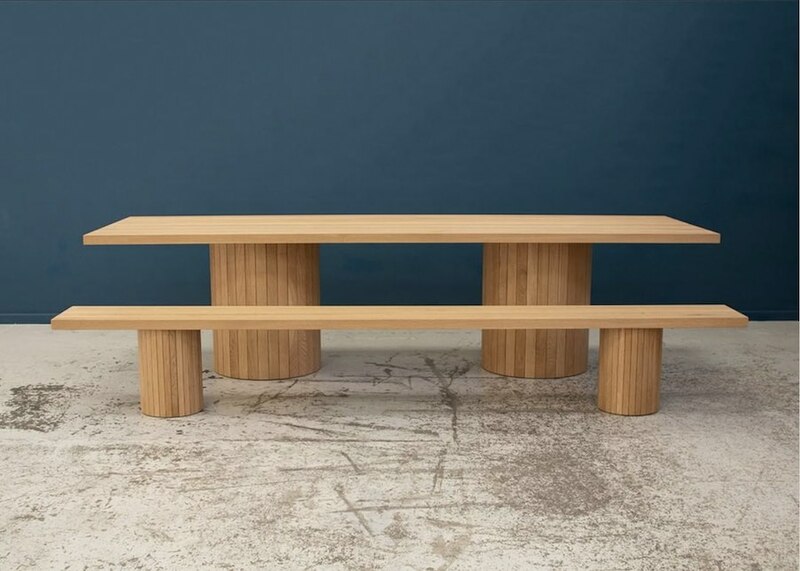 Eustache bench by Margaux Keller for Hartô – Photo by Hartô. 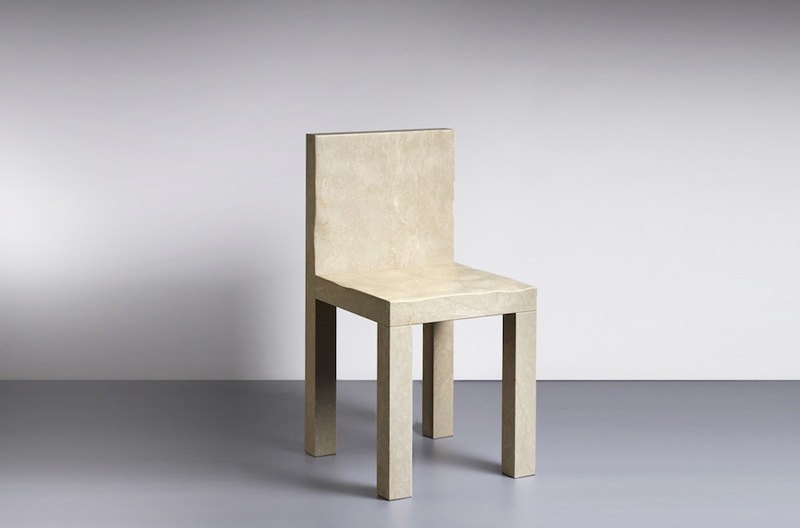 Paris 2019 – Until February 26, the Art of Sitting exhibition at ToolsGalerie in Paris, explores the social and cultural role of the chair in art, culture and technology through the work of contemporary designers. 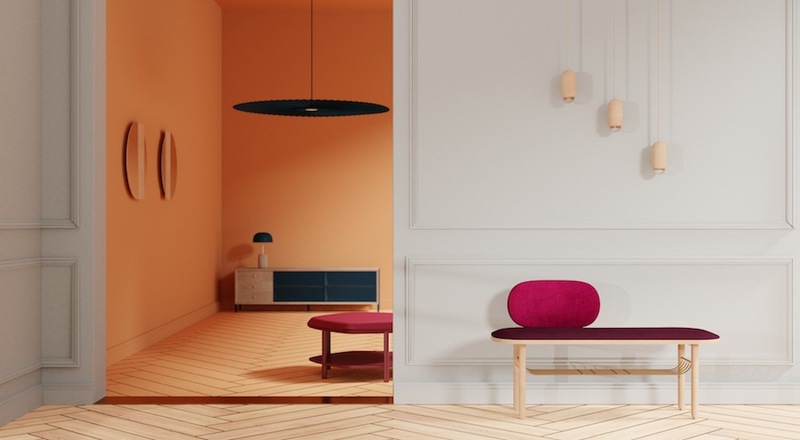 Meanwhile, on the occasion of Maison & Objet, French designers such as Philippe Stark or Philippe Malouin, leading furniture companies including Roche Bobois and Ligne Roset, as well as independent design editors launched innovative sofas, stools and chairs. Asseyez vous, š’il vous plaît… make yourself comfortable, and check what we liked the most from Paris. As soon as we evolved to stand up and walk, we needed a comfortable solution to seat. Until February 26, ToolsGalerie presents The Art of Sitting exhibition displaying an inventory of contemporary forms associated with the functional principle of sitting. On show iconic designs by Maarten Baas, Mario Minale and Philipp Aduatz and others “who envisioned the chair as a representation of power, a new democracy, a technological advance, and reflect on the potentialities of sculpture confronted with function,” explains curator Loïc Bigot. 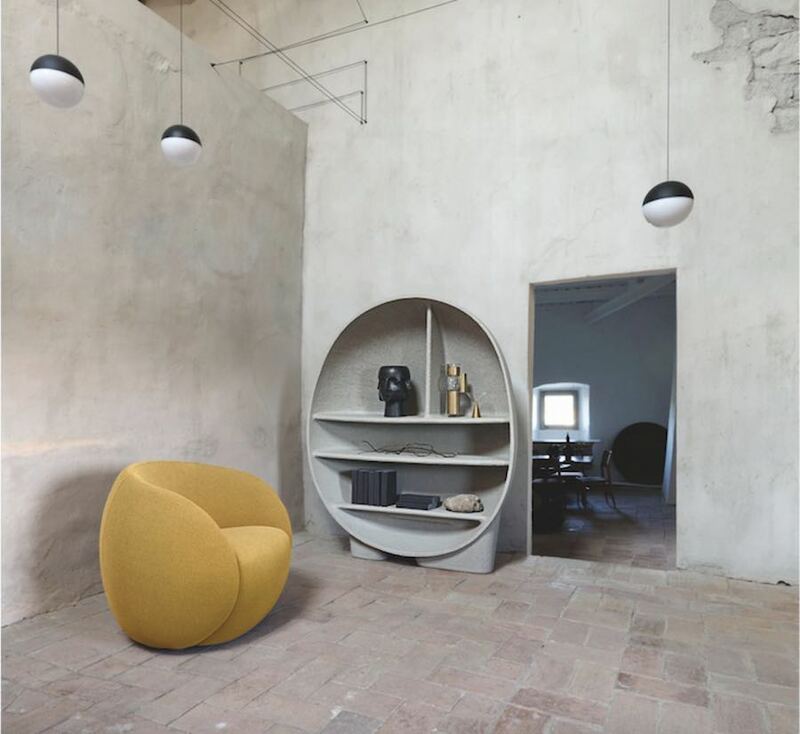 NATIV collection by Raphael Navot – Photo by Roche Bobois. 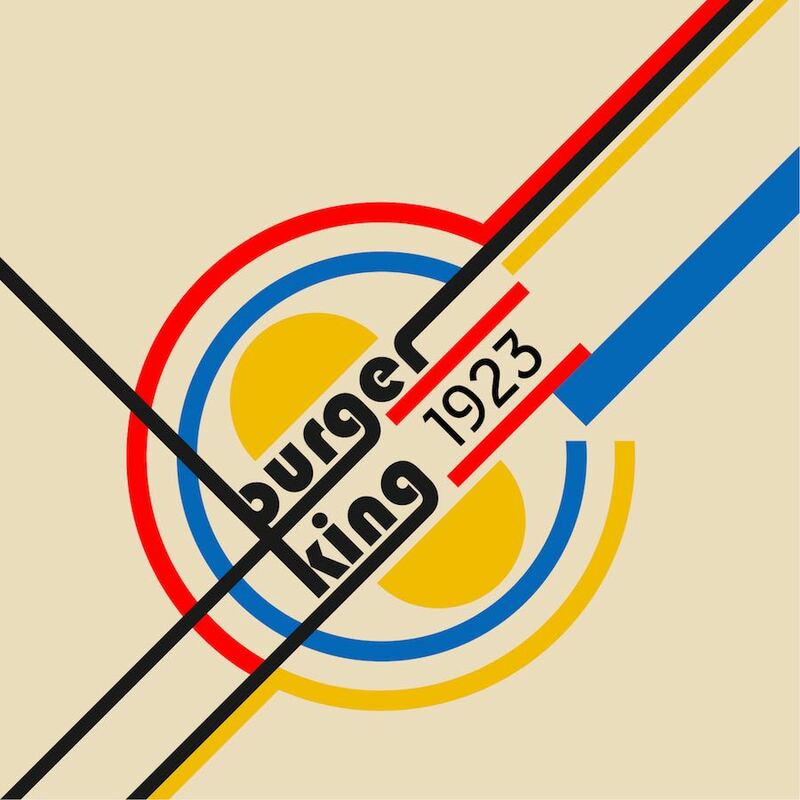 While designers are constantly in search of new creative expressions, the human body has hardly changed in 200.000 years. From here, Israeli designer Raphael Navot created a primitive-inspired handmade furniture collection for French leading furniture company Roche Bobois. Titled Native, the series comprises a library seems to have been carved in stone, luminaries taking the form of stalagmites and pebble-shaped poufs. 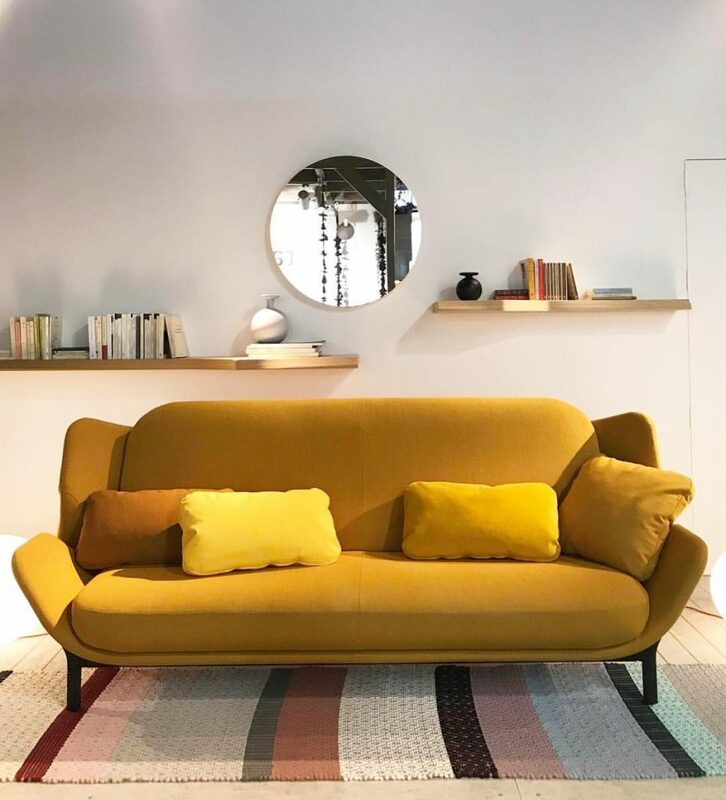 Clam sofa-bed by Leo Dubreil and Baptiste Pilato – Photo via Instagram follow @ligneroset. Lignet Roset presented Clam, a sleek sofa bed designed by Léo Dubreil & Baptiste Pilato. Belying its slender proportions, it has a generous sleep area when unfurled. An easy-to-use click mechanism helps it convert from upright sofa, to a lower, loungey-style day bed to a spacious double bed, with a lightness a world apart from the standard sofa bed. 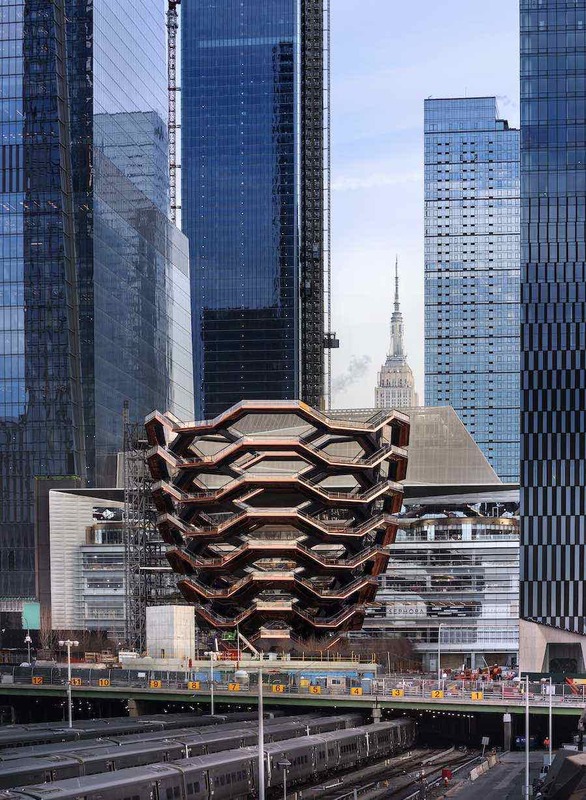 ‘Croque La Pomme’ Exhibition – Photo by Xavier Muyard. Wallpaper by ©Wallpepper, Copyright Magritte. 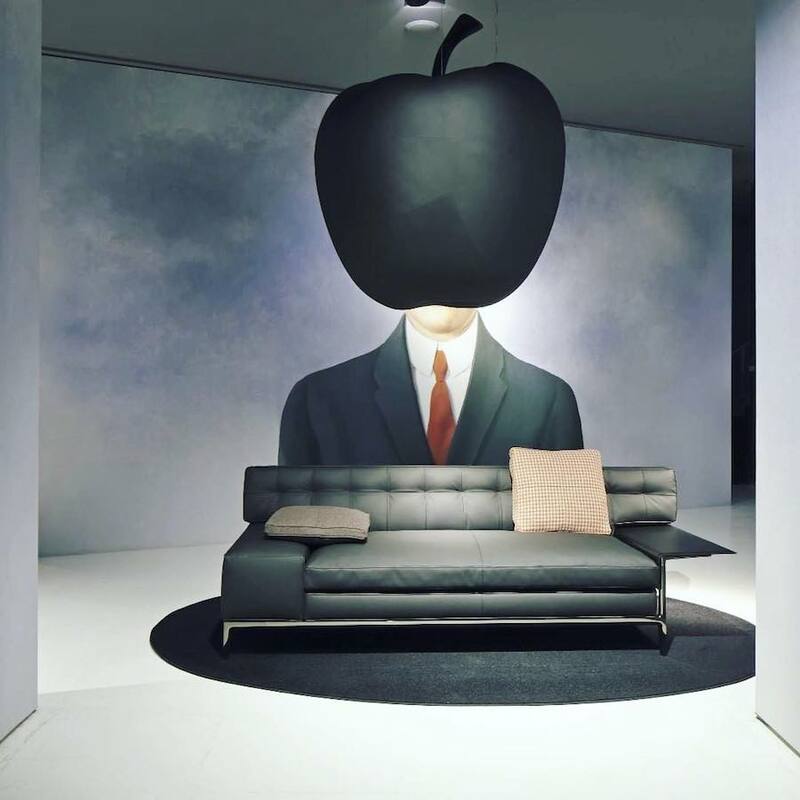 Philippe Starck and Cassina revealed Apple Ten Lork, an innovative material made from apples, with a Magritte-inspired installation on Paris Rive Gauche. Some of the company iconic sofas have been reinvented with the new ‘textile’ available in white, orange and black, in a challenge to explore beyond leather. “Like Eve, Newton and William Tell, we believe in the apple, in Apple Power.” Says Philippe Starck. “Let’s eat apples and hope that this Cassina sofa made from apples creates a new vegetal path to mutual respect”. 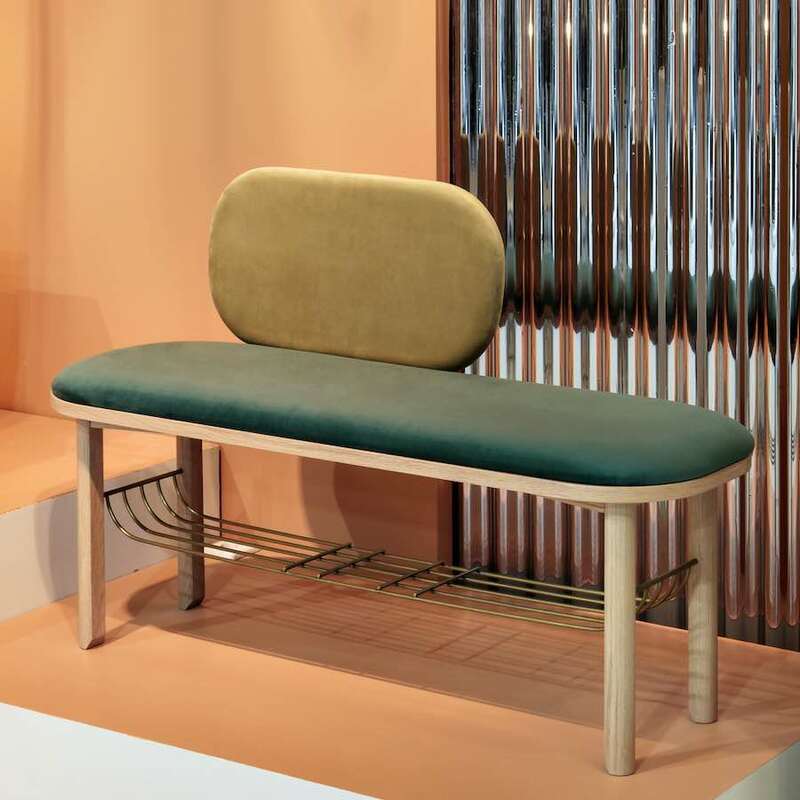 Eustache bench by Margaux Keller for Hartô – Photo by Hartô. HARTÔ launches Eustache, a small upholstered bench in natural oak “nodding to the elegance of dandys described by Proust and Baudelaire”. Designed by Margaux Keller, the seat features carved feet resembling a ballerina’s pointe shoes and a curvy back. A velvet seat dissimulating a brass basket structures the seat and can be used for extra storage. 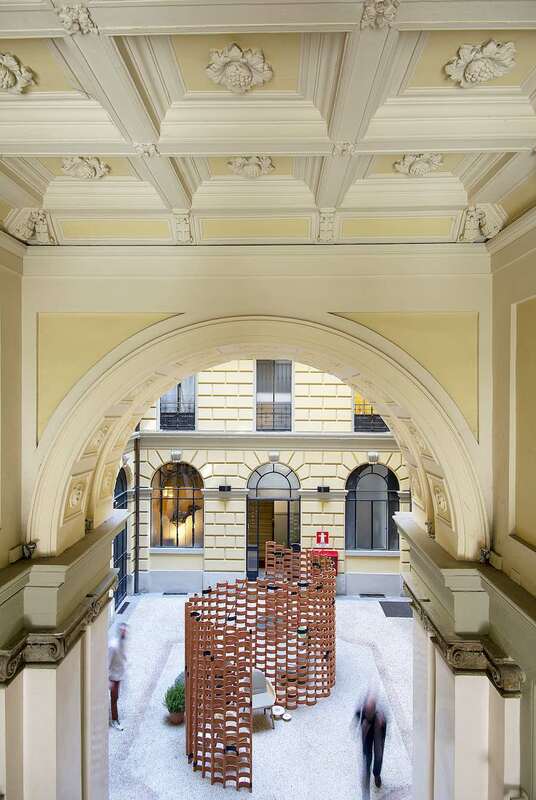 Tubo by Fabien Cappello for Atelier François Pouenat @ Joyce Galerie – Photo by Atelier François Pouenat. 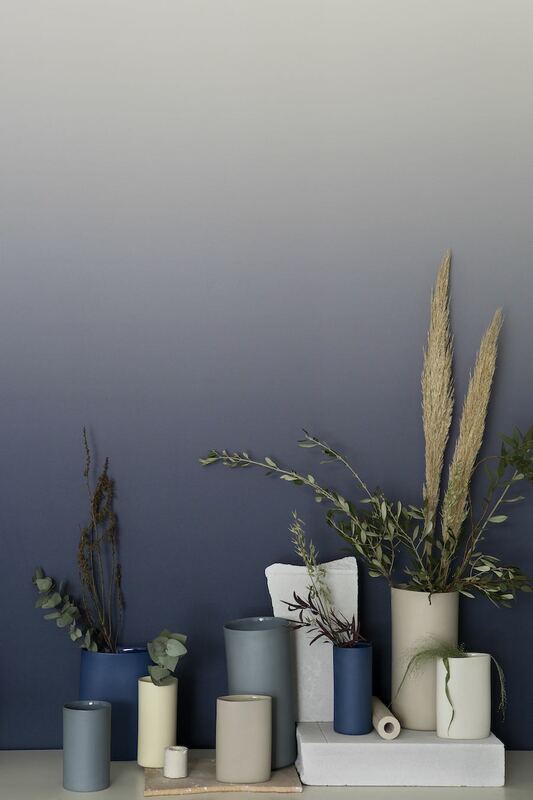 BARREL series by Philippe Malouin for SCP – Photo via Instagram follow @scpltd. 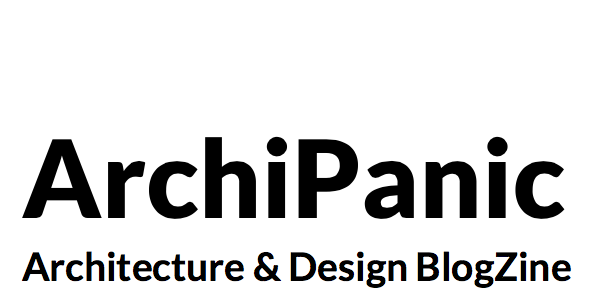 Simple, sturdy and brutalist. 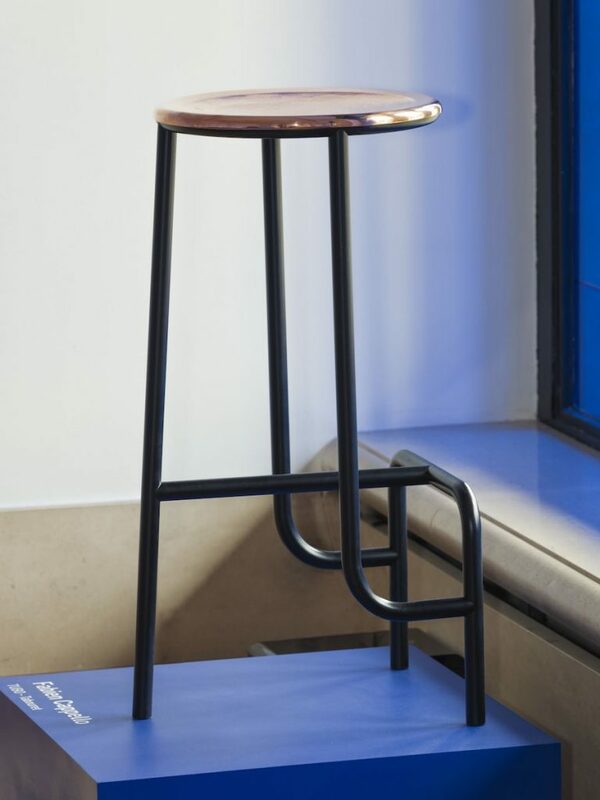 The Barrel collection by French designer Philippe Malouin for SCP is a “streamline interpretation of wine or cointreau barrels, used as a base for tables, benches and stools”. 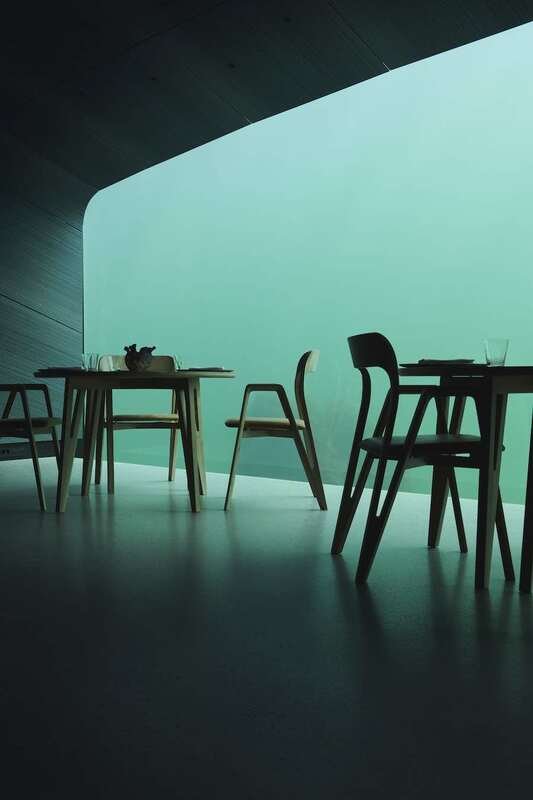 The entire series is formed by the repetition of a single wood plank, for both the circular bases, and in laminated form used to create solid tops. 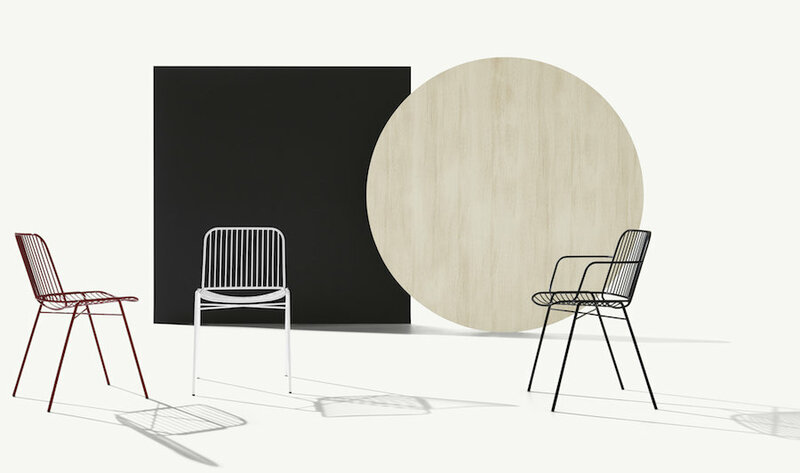 Philippe Nigro expands his Shade collection of metal chairs for both indoor and outdoor as well as private homes, offices and retail spaces. Designed for Metalmobil, the seats are characterized by an architecture of steel tubes and wire that have been welded together to creates a graphical and optical woven effect.